None of Clara Ford’s quilts have labels. I wish they did. I would love to know the exact date my grandmother took that last stitch. I would love to see her name written in her own hand. Your quilt is not finished until you put a label on it. At a minimum, your label should include your name, the place the quilt was made and the date it was finished. Historians will be delighted to read any other personal information you wish to include such as the occasion or something about the recipient of the quilt. I also sign and date the front of my quilts because an artist’s signature adds value to a work of art. Make life easy for future historians. Document your quilt. Your label can be a simple handwritten message on muslin. Some quilters add pictures and embroidery. 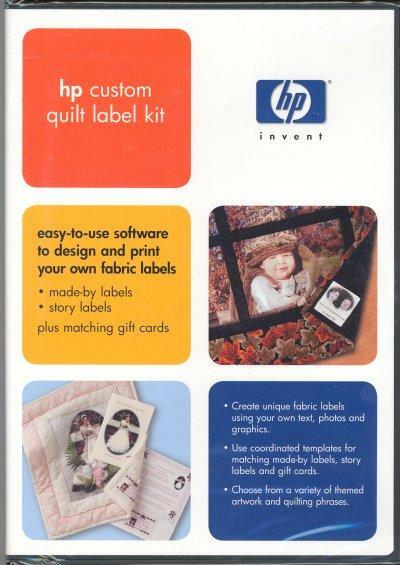 HP sells computer software specifically designed to help you create spectacular labels. The sky is the limit. So do your part to accurately record history. Put a label on your quilt.